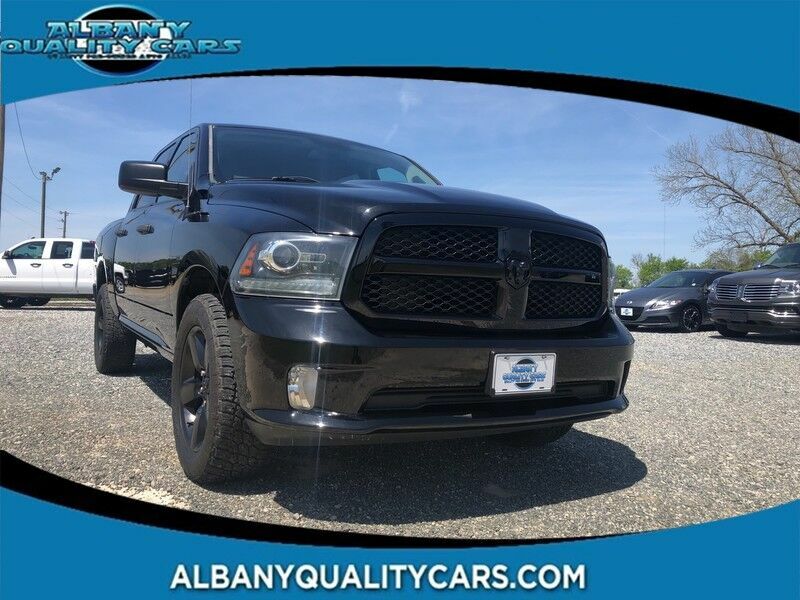 Albany Quality Cars has a wide selection of exceptional pre-owned vehicles to choose from, including this 2014 Ram 1500. Your buying risks are reduced thanks to a CARFAX BuyBack Guarantee. This 4WD-equipped vehicle handles any condition on- or off-road with the sure footedness of a mountain goat. With unequaled traction and stability, you'll drive with confidence in any weather with this Black 2014 4WD Ram 1500 Express. There are many vehicles on the market but if you are looking for a vehicle that will perform as good as it looks then this Ram 1500 Express is the one! More information about the 2014 Ram 1500: The Ram 1500 already offered truck buyers a whole host of reasons to consider it, with power Hemi V8 availability, coilover rear suspension and innovative storage solutions, but with some very effective upgrades in key areas -- namely increased chassis strength, improved base engine power and efficiency and more intuitive interior ergonomics -- the Ram raises the bar for full-size trucks. This model sets itself apart with ample available V8 power with improved V6, Multiple model configurations to suit all needs, Ram-Box bed-side storage, increased fuel efficiency, and user-friendly cabins "OUR LOW OVERHEAD ALLOWS US TO SELL FOR LESS"